Happy Monday friends! I can’t believe we are one week away from Thanksgiving – where has the year gone? Before we know it, Christmas will be here! Ah! This week I am working on building all my gift guide which makes the holiday season official! 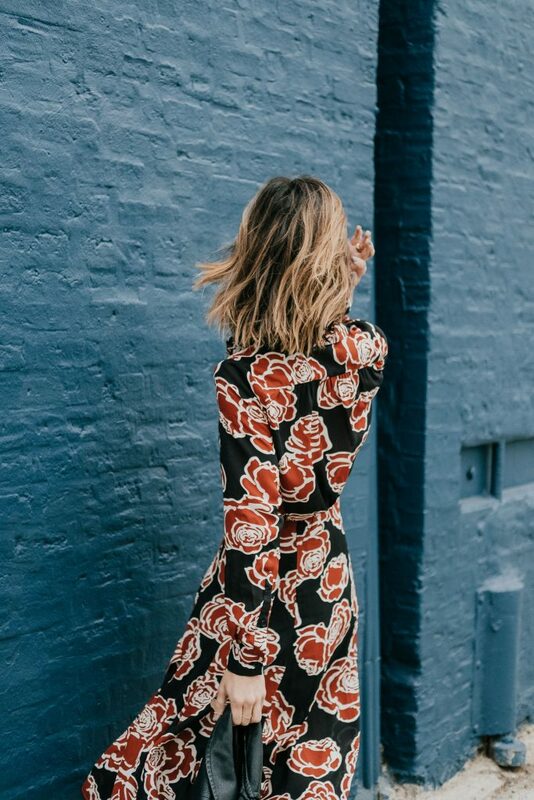 Today I’m sharing this amazing floral midi dress from the Who What Wear Target collection for some Thanksgiving fashion ideas. Thanksgiving fashion is all about comfort and flexibility for optimal eating – am I right? Floral Midi Dress // You guys know that I’m a BIG fan of the Target, Who What Wear collection! Their fall collection has been just heaven and the pieces just keep coming!! 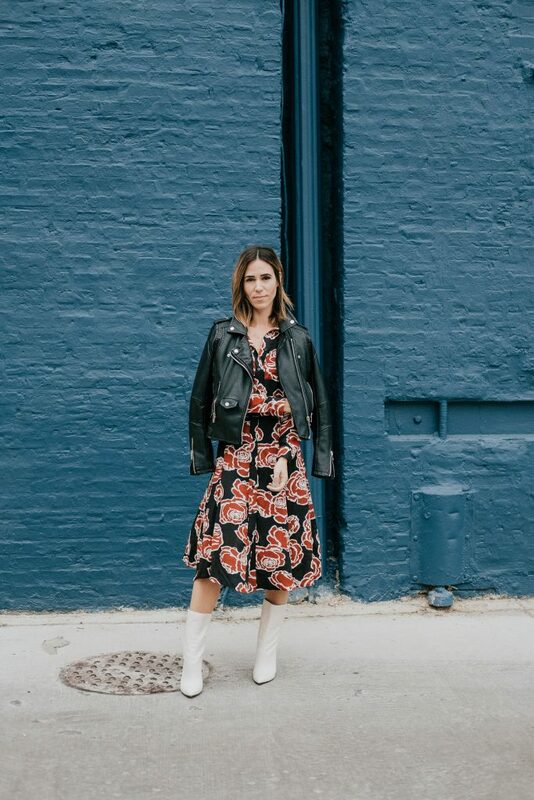 This brown floral midi dress is just a dream – its the perfect fall dress to be pair with a long teddy coat or a faux leather jacket! Faux Leather Jacket // A faux leather jacket is an absolute must in our wardrobe! It’s one of those essential pieces that you will wear year in and year out! I bought this Blank NYC Denim jacket a few years ago at the Nordstrom Anniversary sale and never looked back – they make the best faux leather + suede pieces that have longevity! If you are in the market for one, I’d recommend one from the Blank NYC Denim line. White Leather Mid-Calf Boots (similar here too) // One of my favorite accessory this fall has been these white leather calf booties! White leather has made a huge comeback this season and I took full advantage of it! They pair easily over denim or a legging – there isn’t a better statement boot this season!